The microgrid industry continues to rally to help Puerto Rico, with the latest effort coming from makers of distributed wind-powered microgrids. The Distributed Wind Energy Association (DWEA) reports that is members are getting ready to send turnkey microgrids to help Puerto Rico and other Caribbean islands that lost power as a result of Hurricane Maria. Puerto Rico’s electric grid was almost entirely destroyed by the hurricane, leaving most of the island’s 3.4 million people with little to no access to electricity. The island’s utility, Puerto Rico Electric Power Authority (PREPA), had restored only 8.6 percent of its customers as of today, two weeks after the hurricane made landfall. The utility is forecasting that it may have 15 percent restored by October 21, but has warned it may be months before even half of the island has power. Some customers may be without electricity into 2018. Meanwhile, such companies as Tesla, sonnen and others are delivering microgrids, solar panels and energy storage batteries to bring more immediate relief. The DWEA is adding to this effort, organizing distributed wind turbine manufacturers, financiers, and system integrators that want to help Puerto Rico. Among the companies contributing are Northern Power Systems, Primus Wind Power, XZERES, Oregon and United Wind. 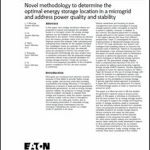 The shippable systems are true microgrids, according to DWEA, each acting as a single controllable entity with a full system integrator. The small wind-powered microgrids will be dropped onsite in containers with power electronics and batteries. DWEA is still working out details as to how many microgrids its members will deploy and when. 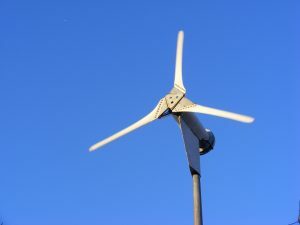 Small, distributed wind systems provide power in a range of settings, including homes, farms, universities and manufacturing facilities. Track news about the effort to bring distributed wind-powered microgrids to Puerto Rico. Subscribe to the free Microgrid Knowledge newsletter. Puerto Rico based http://www.tetrad-enterprises.com are in the ground helping the people of Puerto Rico we looking forward in this efforts.